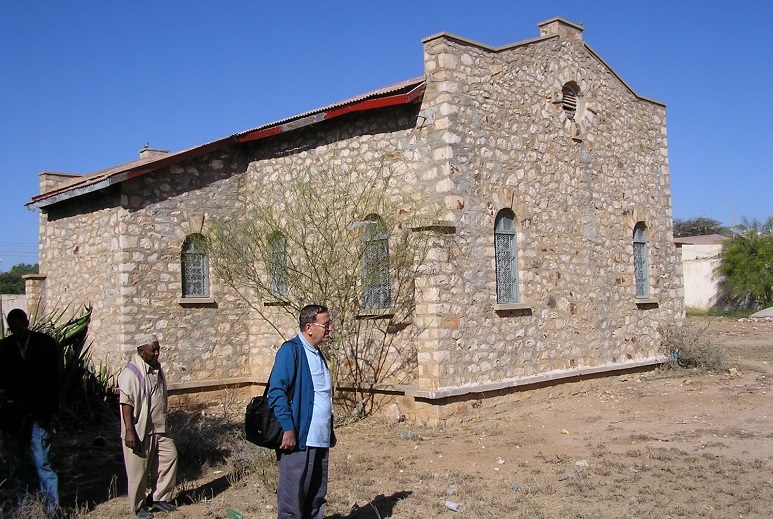 The only Catholic church in Somaliland, East Africa, officially re-opened after three decades on 29 July, has been closed again within a week, due to public pressure. “The issue has created a lot of division … which is not in our national interest… The government has decided to respect the wishes of the people and their religious leaders, and keep the church closed as it has been for the past 30 years,” explained Somaliland’s Religious Affairs Minister, Skeikh Khalil Abdullahi, as reported by The National. The re-opening ceremony at the restored church of St Anthony of Padua, one of a number of churches built 70 years ago during British rule, had earlier been attended by ministers of the autonomous region of Somalia, and expatriates. The church is located in the Shaab area of the region’s capital, Hargeisa, where there are many government offices. Most Christians in Somaliland are expatriates, and a smaller number are Ethiopian immigrants. In 1991, the northern third of Somalia (formerly a British protectorate) seceded. Yet despite Somaliland’s political stability, it has yet to gain international recognition as an independent country. “Your government that is seeking [international] recognition has seen the importance of exercising freedom of worship and the reopening of this church,” Radio Dalsan reported an expatriate woman involved in the re-opening ceremony as saying. Local reports say the volunteer aid worker at a local hospital has since left the country. The re-opening, amid increased security, sparked fears that a new church could be built or that Christians might try to convert Muslims. The Religious Minister had held an earlier press conference on 30 July to address concerns over the re-opening of the church, The National reported. “Somaliland’s constitution and Sharia [Islamic law] allows foreigners to work in Somaliland and to practise their religion privately… Our government will not allow any new church to be built in Somaliland,” he had said then. Bishop Giorgio Bertin, the apostolic administrator of Mogadishu and bishop of Djibouti, had re-consecrated the church late last year. He said it had been shut because of the danger Christians face in the Muslim-majority country. The bishop said Somaliland is in practice fairly free from control by the provisional Somali government in Mogadishu. Somalia is No. 2 on the 2017 Open Doors’ World Watch List of the 50 countries in which it is most difficult to live as a Christian. Somaliland is not independently surveyed as it is not internationally recognised.